Want to do something different with a nut roast? 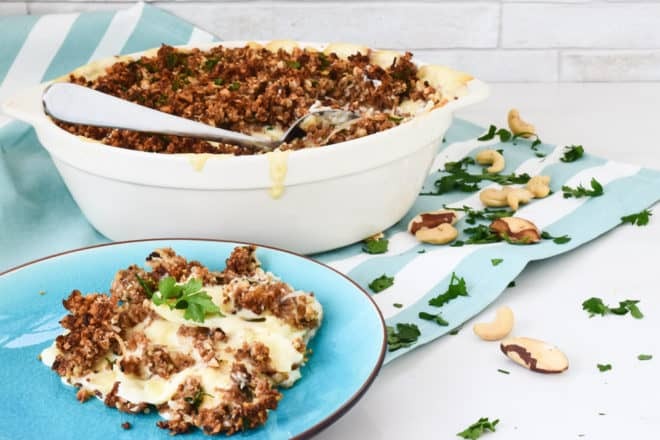 Try using it as a topping and creating this Creamy Nut Roast Potato Bake. So simple, so impressive and sooooo delicious.